What a perfect way to end the weekend by volunteer a couple of hours for the 2017 Sunflower Days in Verona. If you have never been, I highly recommend it. 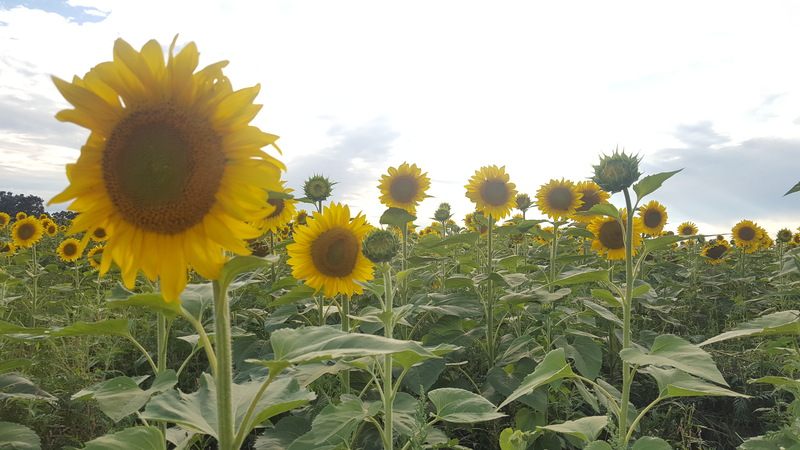 First it is free (but I encourage you to make a donation at one of donation stations) because this 9-acre sunflower field with over a half million sunflowers in bloom is breathtaking! I got there at 6pm and had time to walk around the field and take some pictures (along with hundreds of other people) and then at 6:30, I reported to my post. I met some really great people from the Friends of Pope Farm Conservancy who handed me my yellow vest, radio and put me at my post. 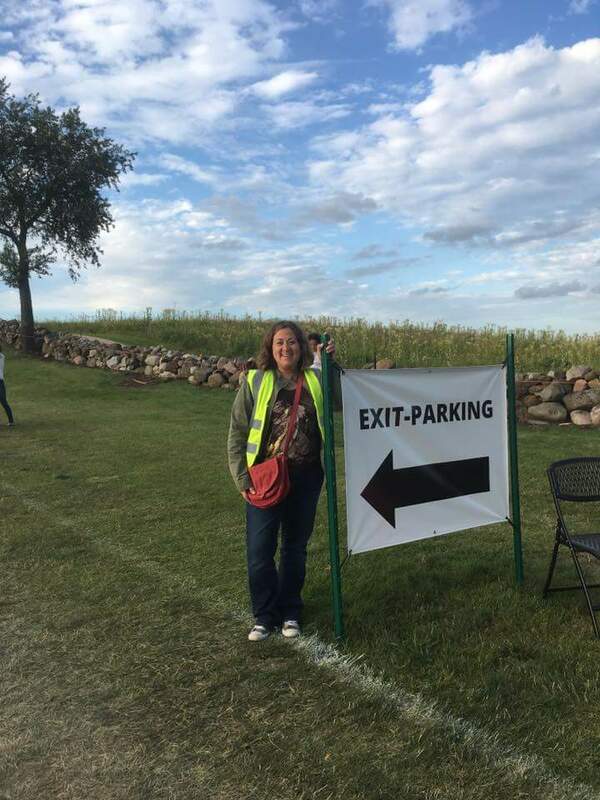 My role was to direct the traffic to the lower field, and if that filled, direct to the hay field. 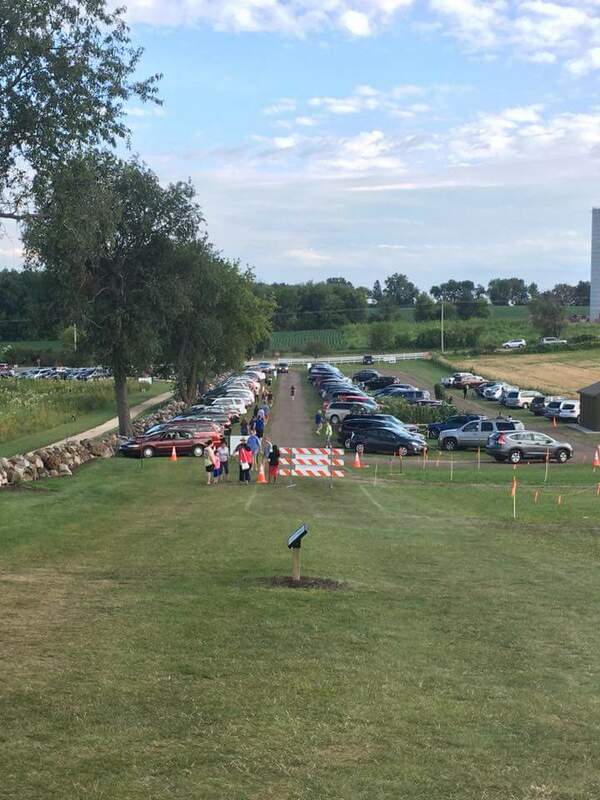 Parking cars can sometimes be a challenge based on a few that don’t listen to your directions, but I am happy to say everyone was so friendly and had this carefree energy. 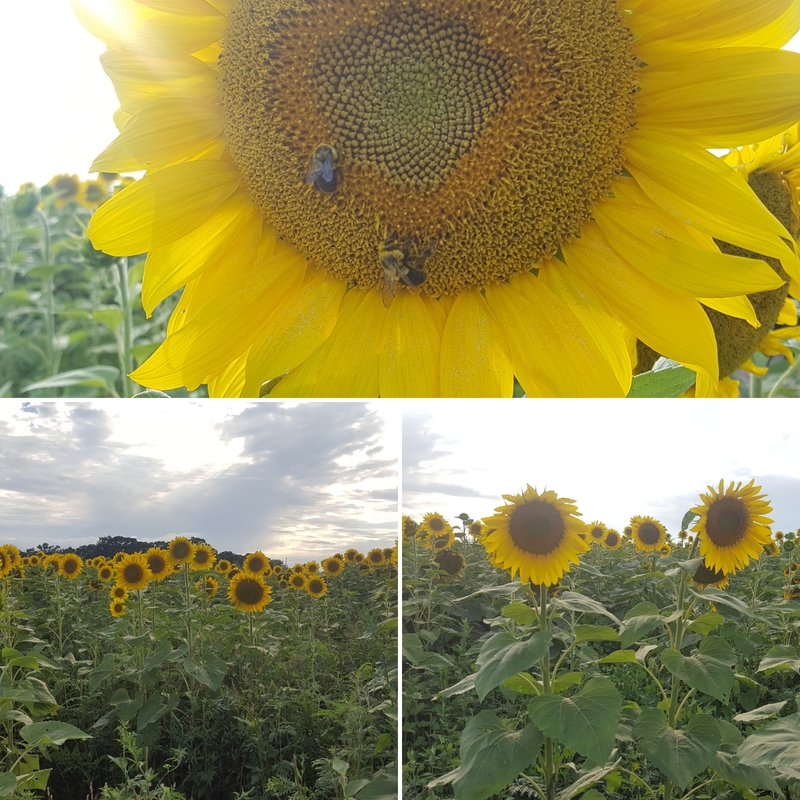 I contribute it to the sunflowers. Looking at a sunflower makes me happy, can you image what half a million will do to your soul? I also love it when people acknowledge that you are giving back. A simple, “thank you for volunteering” means the world to us all. People ask me all the time how I find out about volunteer opportunities. This opportunity I discoverer through a volunteer interest group that I am a member of on Meet Up. If you are new to a city or looking to “meet up” with people of like minded interests, I highly recommend signing up or start your own meet up group. What a great way to start off my work week…. 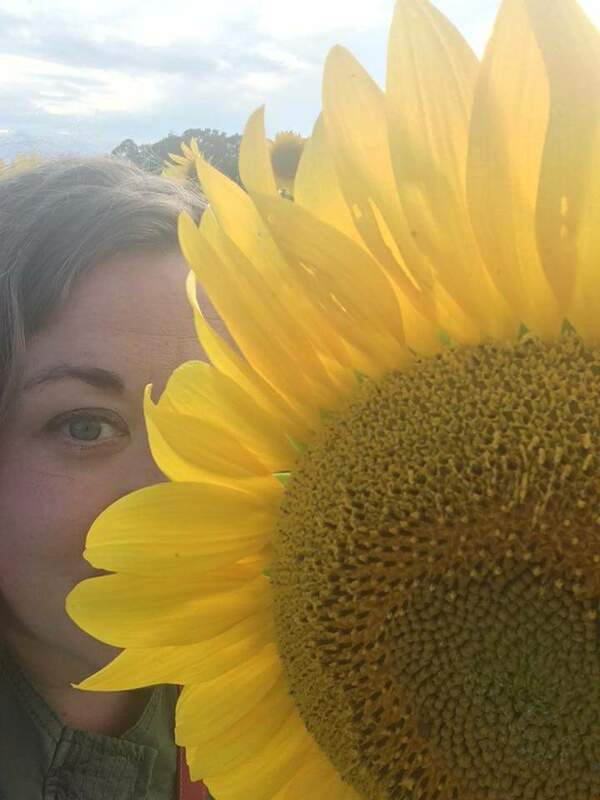 Sunflowers, fresh air and giving back! Hope your Sunday was as soulful as mine!